I’ve been trying to drink more water. Someone recommended the free app Plant Nanny. 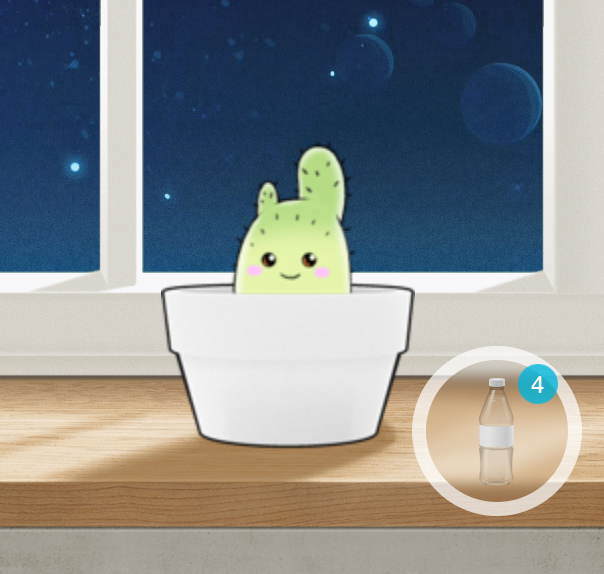 The premise is simple and cute: when you drink water, you tap the screen to water the plant. If you don’t drink enough, your plant will begin to wither. Keep watering the plant on schedule and your plant will flourish! Just like your body! I have Push Notifications on for this app, so every time I hear the little *ploop* of “Your plant is thirsty! Give it and yourself some water!” I groan. It’s an obligation. But is it working? Well, yes! I’ve been drinking more water and my plants are, for the most part, healthy and happy. The app has some failings. First, it suggests your water intake by weight, and the calculation is wonky. For my weight, it suggests drinking a gallon of water a day. That’s absolutely never going to happen ever, not even if there’s a friggin’ gold brick at the bottom of every jug. Second, it has a “favourite” container size defaulted for watering and changing it is clunky. I don’t usually drink my fluids from the same container all day, so that’s a real pain for me. Third, it’s tricky as an iPad user because I don’t always necessarily have my tablet with me. One plant died because it was a Saturday and I was away from the app. Sorry, Henry. Do I recommend it? Yes! The app functions fine for free, and the ads are only mildly intrusive. There are paid functions, like ad removal and upgraded plants and containers, but it’s not a hindrance. Wow, a gallon? You’re right — even though I’ve never had a problem drinking water, I could never manage that. Hey I have a new routine for my water : I add fiber to it! (Benefiber to be exact.) It helps cut down on cravings.